Do you unintentionally fall asleep, nod off behind the wheel, or find it hard to focus on your work because of a constant state of sleepiness? You could be suffering from one of the many sleep disorders Chicago specialists diagnose every year, the same disorders estimated by CDC to plague the lives of 50-70 millions of Americans. If not getting enough sleep or feeling exhausted all the time do not seem such a big deal, remember that sleep insufficiency is not only a common cause for car crashes, industrial disasters, medical and various occupational errors, but also for more serious health problems. Sleep disorder sufferers are predisposed to diabetes, hypertension, depression, obesity, and cancer, not to mention that their productivity and quality of life are significantly reduced. These should be more than enough reasons to convince anyone showing sleep disorder symptoms to seek diagnosis and, if necessary, specialized treatment. 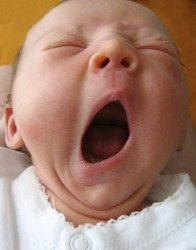 There are several sleep disorders, some more serious and difficult to treat than others. Out of them, the following four are the most popular. It takes two forms: sleep onset insomnia, when patients have a hard time falling asleep, and maintenance insomnia, when patients wake up and can no longer go back to sleep. 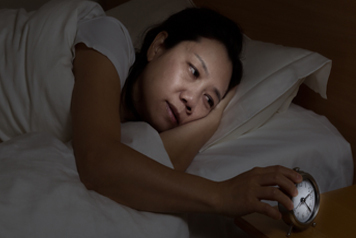 Depending on severity and duration, insomnia can be acute (caused by stress, traumatic events, or family pressures and lasting up to a few weeks), chronic (caused by an underlying problem or various medicines and lasting up to several months), or maintenance insomnia (linked to some other sleep disorder, like restless legs or apnea). It involves sudden sleep episodes, often associated with vivid dreams or hallucinations. Specialists believe it is caused by low Hypocretin levels. Although there is no cure available, patients can live a life close to normal with adequate medication and lifestyle changes. The uncontrolled urge to move one’s legs is caused by sensations like creeping, itching, crawling, pulling, burning, tingling, or aching. These sensations can affect the arms as well, and will prevent the sufferer from falling asleep. The restless legs syndrome can get worse when associated with the upper airways resistance syndrome. Treatments involve combinations of lifestyle changes and medication. 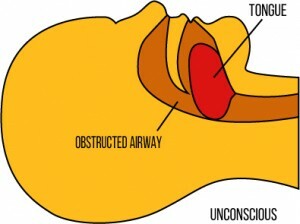 Sleep apnea appears when the airway is obstructed and the patient stops breathing, waking up suddenly. It often goes undiagnosed and is in many cases associated with snoring. The most effective treatments include CPAP (continuous positive airway pressure), sleep orthotics, or surgery. Seeking Treatment: Look for a Sleep Clinic in Chicago or See a Dentist? Sleep disorders can only be treated in sleep clinics, right? Wrong! Believe it or not, many sleep disorders are caused by temporomandibular joint (TMJ) issues. The joints connecting your lower jaw to the skull may not function properly and cause pain, discomfort, noises such as joint clicking, grinding, or popping, or bite misalignment. These problems, in turn, can affect your airways, and lead to the above-mentioned sleep disorders. 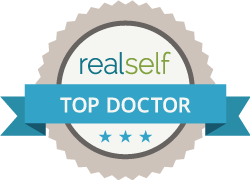 While finding a reliable sleep clinic, making an appointment, getting a diagnosis, and receiving adequate treatment there can be tiresome and expensive, you could get the relief you need much faster by making an appointment with a reputable sleep dentist in Chicago. These specialists combine physiologic dentistry with dental sleep medicine and use last hour diagnostic and clinical protocols to help patients enjoy the restful sleep they deserve and need.